We still can remember 2015 as if it was yesterday and now another year is already over. What an incredible year 2016 has been, as we've seen new records in nearly every way. At the same time 2016 was the year where the market environment for WordPress themes has become more challenging and difficult, but more on that later. We'll give you a quick recap of what we've been doing in 2016. 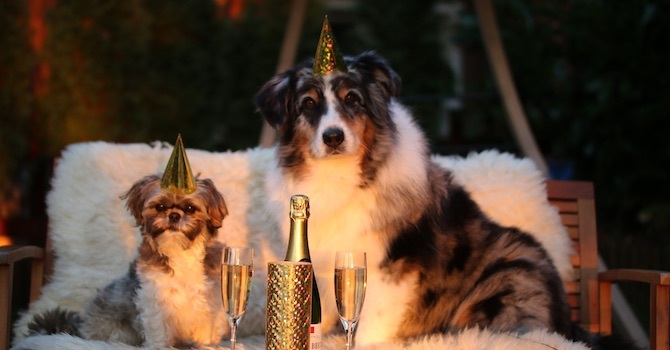 As you may remember, 2015 was the best year since we started our venture in 2013. To be honest, we expected 2016 to be equal to 2015 or even at lower levels compared to the previous very successful year. But we couldn't be more wrong. 2016 has broken all records and that even although the market environment has changed a lot in the past few years, not in a positive way. From a business perspective 2016 has exceeded our expectations by far. We've not only seen massive growth in users, but also managed to cross $1 million in total revenue since our start in 2013, which has been a very encouraging milestone for us. We can't thank you enough for that! 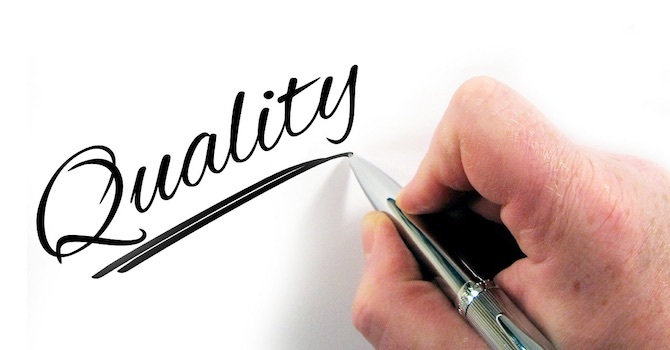 We've also seen great results when it comes to customer satisfaction as we've managed to reorganize customer support and moved away from ineffective forum support, back to extensive documentation in our support center and personal support via email, which is much more effective and also results in less back and forth. This leads to incredible response times as well. The average response time for support requests during our business hours in 2016 has been at awesome 9 minutes, while we still have kept our promise to always respond within 24 hours. Just like in the previous years with ThemeSumo, WPlava, ShinyWP or else, we also had a couple of takeovers in 2016. This year we acquired EightPixelDesign, Zebra Themes, Web Design Tunes and a few others. If you're a WordPress theme developer and in case you plan to sell your business or if you're running a WordPress related blog, please contact us as we may be interested in taking over. 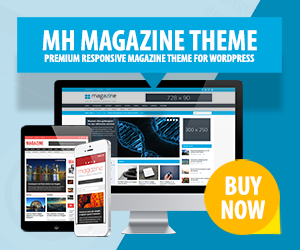 As you know, the MH Magazine WordPress theme is our flagship and we're constantly working on improvements and new features in order to help you launch awesome editorial websites like online magazines or online newspapers. Since the release in 2013, the MH Magazine theme is getting great reviews from users all over the world and we're blown away from your loyalty and support. In 2016 we released several larger updates for the MH Magazine theme which included many improvements, new features and additional custom widgets in order to customize your website. We've also launched more live demos of MH Magazine to show you what is possible by using the flexible layout options and custom widgets to create unique websites with endless possibilities. This year we've also introduced a new pricing option, which has been a great success. With the new MH Themes Professional package you can get access to all WordPress themes by MH Themes including extended support period. This seems to be a very popular choice as it offers more than a single theme, but is less expensive in comparison to the Lifetime plan. That way you can test various WordPress themes and use the one that works best for your website. For example we see that also the MH Newsdesk theme is a very popular choice. The theme is also being used by larger well-known sites, for example the New York Police Department (NYPD). For 2017 we've great plans to further establish MH Magazine as one of the most popular magazine themes for WordPress. The work on the next theme update has already begun and we've planned more new features and improvements for next year. We'll also focus on some awesome new functionality that has been included in WordPress 4.7 and see how we can utilize that to create new cool stuff. We've also planned to experiment with some new technologies in order to stay up to par. 2017 will also be a very interesting year for the WordPress theme market. As mentioned before in this post, the market environment has changed a lot in the past few years as the market has become very crowded and challenging. We see theme shops from low-wage countries publishing lots of WordPress themes at very low prices and often low quality as well. This and some other factors lead to saturation and we see more and more theme shops and independent theme developers struggling to run a sustainable business, eventually trying to sell their business and giving up. We also see other theme shops answering to this trend by releasing lots of new themes, often 1-2 new WordPress themes per month, until to a point where they can't maintain the various products anymore and then they disappear or start over again, leaving frustrated customers behind. This doesn't only contribute to more saturation as well, but also isn't good for the WordPress ecosystem. This unsustainable business practice has never been our philosophy, as our motto still is “Quality over Quantity” and this hasn't changed since we started back in 2013. We will keep focusing on a few well thought-out products instead of releasing many WordPress themes as fast as possible to quickly make some money. We want to be your reliable partner for high-quality WordPress themes on the long run and that's the main focus when we create WordPress themes for editorial websites. Thank you so much for your loyalty and support! We want to thank you again for all your loyalty and support over the years and for making 2016 the best year for MH Themes since the start in 2013. It was such an incredible year and couldn't have been possible without you. We've great plans for 2017 and we'll keep working very hard in order to provide the best magazine WordPress themes on the market for professional and successful editorial websites. We truly hope that you will have a nice holiday season, a wonderful Christmas and a very happy new year. Stay tuned and we'll be back soon with great new stuff in 2017! I’m a published writer and have run successful businesses but I didn’t know anything about blogs when we started. I made all the mistakes newcomers do plus some more I invented. Through all this, Aline at MH Themes was helpful, supportive, and, most important, patient. I could not have gotten to where we are without the help. So, thank you and Happy Holidays to you all. Hi Richard, thank you for your kind words and we’re very happy that we were able to help you get started with blogging.